The sun was up and shining at the west-end of the trail overlook. It was almost sunset so the sun rays illuminate a warmer look at the hill closest to my vantage point. I like the clusters of bushes and the silhouette of the mountains afar. 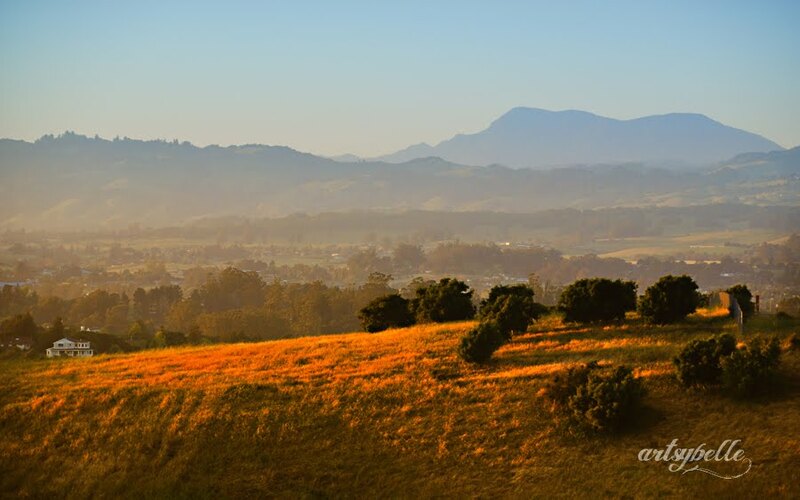 Situated on the valley is the Petaluma city of Sonoma county. This is my amateurish attempt of a Bruce Percy inspired photos.